The formal study of Asia began more than 250 years ago in Trinity College Dublin, with the establishment of a Chair of Oriental Languages in 1762. Today we offer a renowned and comprehensive range of independent research and teaching on East Asia, work that has been greatly enabled through generous external support. 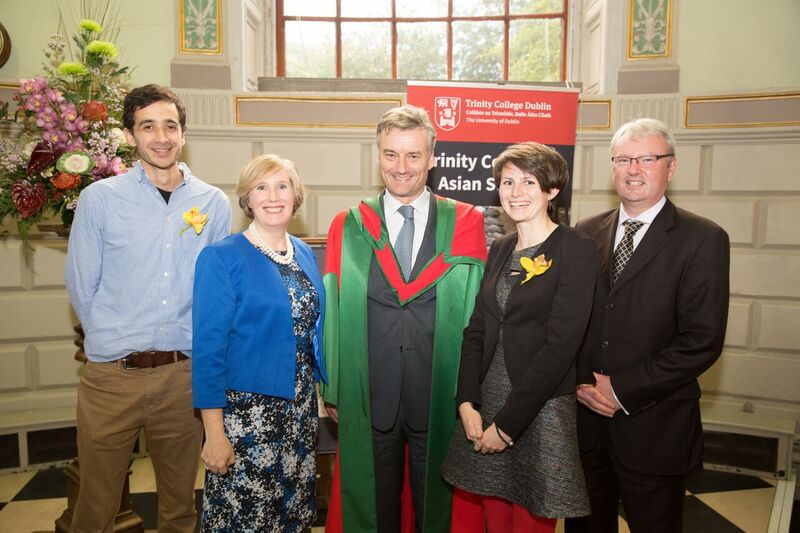 The Chinese, Japanese and Korean Studies programmes at the Trinity Centre for Asian Studies have all benefitted from national and international funding as well as generous individual philanthropy. The work of TCAS has been consistently supported by contributions and grants, including from the Irish Research Council, the Royal Irish Academy (Charlemont Grants), the Japan Foundation, the Japan World Exposition 1970 Commemorative Fund (JEC Fund), the Korea Foundation and the Academy for Korean Studies. Trinity's links to philanthropy go all the way back to the University's foundation in 1592, thanks to an act of benevolence by Elizabeth I. In the Old Library, the band of gold lettering below the gallery commemorates benefactors of the 17th and 18th centuries. The frieze in the grand entrance to the Dining Hall recognises benefactors through the centuries who have made substantial gifts to Trinity. Our Chinese Studies programme was greatly enabled and expanded through important philanthropic donations to professorships by Dr Sam Lam (M.B., M.A., 1961). Dr. Lam, a Trinity alumnus in Medicine (1963), is President of the Lam Woo Foundation. Dr Lam is a specialist in diagnostic radiology and was the first chief corporate radiologist at the William Osler Health System in Ontario, Canada. As one of the pioneers in filmless radiology, he led his department to become the first radiology facility in Canada to adopt a comprehensive range of digital imaging technology. He was presented the Queen Elizabeth II Diamond Jubilee Medal by the Canadian Government in 2012, for his significant contributions to his fellow citizens, community and to Canada. He returned to Hong Kong in 2008 after living 50 years abroad. 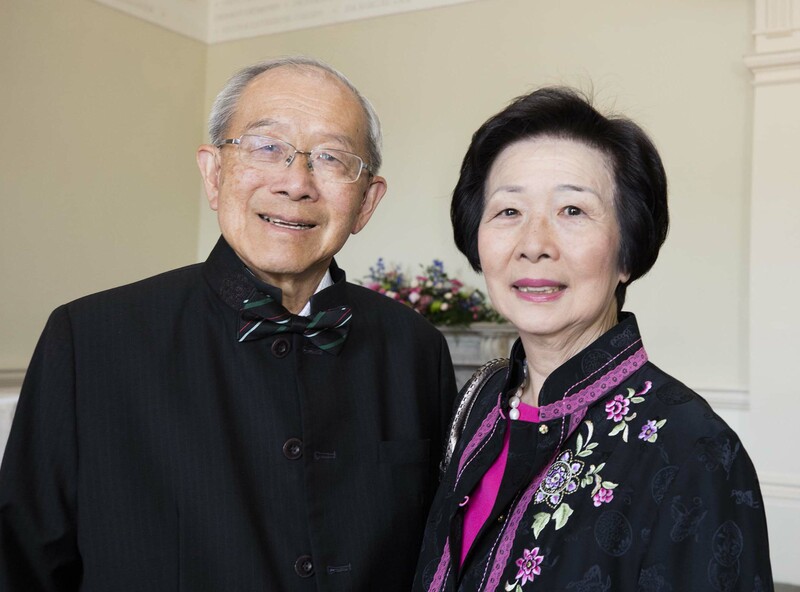 In his 80th year, Dr Sam Lam was welcomed by the Provost as one of Trinity’s ‘Benefactors through the Centuries’. Since the course was established, students enrolled in the M.Phil. in Chinese Studies have benefitted from the generosity of Eoin and Cliona Murphy through the provision of an annual scholarship scheme. Eoin Murphy is MD of Vardis Hong Kong, a specialist executive search firm and his wife Cliona is Vice President, Technical for PepsiCo Worldwide Flavours (PWF) based in Cork. They met while studying Engineering in Trinity, graduating in the class of 1989 and subsequently emigrated to the UK. They returned to Trinity to celebrate their wedding in 1996 and have continued to have a close affinity with their alma mater. Having had the experience of spending seven wonderful years in Asia, including five years in China during which time the whole family learnt Mandarin, they were delighted to have the opportunity to be directly involved in sponsoring the Trinity Centre for Asian Studies. They intend that these scholarships will enable deserving students to both learn and contribute to the development of this much needed, independent Centre for Asian Studies and they look forward to an ongoing relationship with TCAS scholars, students and staff.